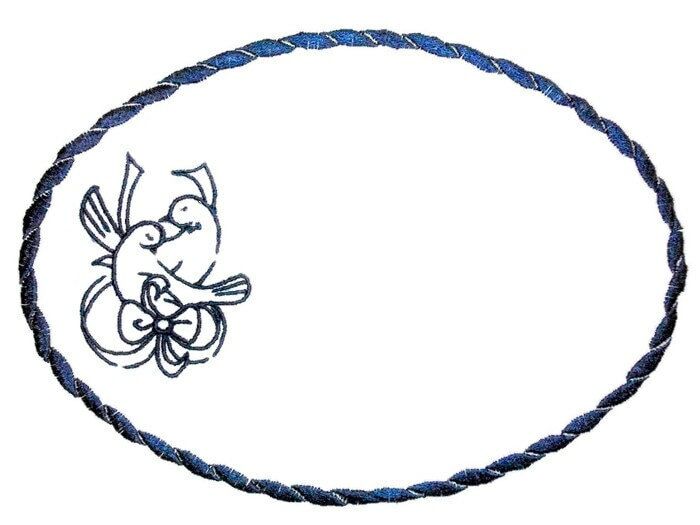 Navy Blue lovebirds wedding embroidered quilt label with an oval rope border. Customize the label with your personal message. Document you quilts history in style with an embroidered quilt label with a professional finish. Measures: 17cm x 13cm (6.75" x 5").